I was sitting one morning with my coffee, looking out the window, praying, when my daughter came and sat beside me in the dark. 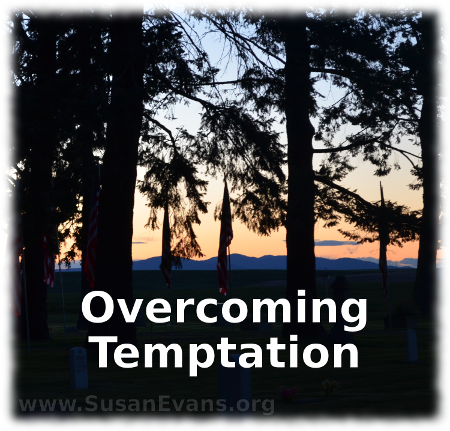 “You should learn how to overcome temptation. Just because you see something doesn’t mean you have to do it. Just think of something else, and you will take your mind off it,” I replied. “There are millions of things to think about. I’m sure you can think of something, like oceans or monkeys.” My daughter giggled at the thought of monkeys. Whenever I recognize a temptation, I just throw out the thought and replace it with another thought. Better yet, put your mind on Christ. This is how you take every thought captive. Later I talked to my husband about my conversation with my daughter, and he said, “Another good way to resist temptation is to go away from the temptation.” He then proceeded to tell me about a study that was done, where children were put into a room with a large present, and they were told that what was inside was wonderful. Then the adult left the room, and the child was alone with the present. In almost every case, the child couldn’t resist temptation and ripped open the present to see what was inside. But there were the few, the one or two percent, who were able to resist temptation. What did they do? One of the children started singing to distract herself. Another little girl got her chair and turned it around so that the present was behind her, so she wouldn’t have to look at the temptation. I found this study very interesting. There is always a way out of temptation, so that we don’t have to sin: “There hath no temptation taken you but such as is common to man: but God is faithful, who will not suffer you to be tempted above that ye are able; but will with the temptation also make a way to escape, that ye may be able to bear it.” (I Corinthians 10:13) This has nothing to do with horrible things that happen to us that are beyond our ability to endure: “We do not want you to be uninformed, brothers, about the hardships we suffered in the province of Asia. We were under great pressure, far beyond our ability to endure, so that we despaired even of life.” (II Corinthians 1:8) If the apostle Paul, under the inspiration of the Holy Spirit, says that God gives us trials that are beyond our ability to endure, then he’s not talking about temptation. Don’t ever feel that you have to give in to temptation. You don’t. Or if you start to sin, you can stop abruptly. You don’t have to continue sinning once you realize you’re sinning. This entry was posted on Monday, March 5th, 2012 at 8:20 am	and is filed under Christian Living, Parenting. You can follow any responses to this entry through the RSS 2.0 feed. You can skip to the end and leave a response. Pinging is currently not allowed. Self Control & James 4:7 came to mind as I started reading the post. God is faithful in keeping us but we have to understand we can resist & keep our mind in Christ. I watched a similar children’s study and it was interesting to me the majority of them did what they were asked not to. Very few were able to resist. As you mentioned it’s best to keep our mind on Christ. So many children have no self-control at all. They need to be trained to overcome temptation. AWESOME !! shared on G+ ; wished to see way to pin to parenting board. If you hover over the left corner of any picture, a pinning icon shows up. Glad you liked the post! Thank you for this post. I have found that thinking of something else helps. But more than that, I subscribe to the Joseph style of “running” from the temptation. There are times we need to run. May God gives us strength not to give in to temptation. Running or getting out of the situation is often the best way to overcome it. Fleeing from temptation is definitely the best option if able. Yes, distraction is beneficial. Also knowing the “why” behind why you are trying to avoid the temptation is also positive. Having thought through the positives of avoiding versus the negatives of participating in the temptation. Yes, knowing the why behind the temptation is so important. That will give you the will no say no to the temptation. 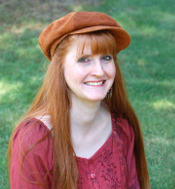 Focusing and fleeing are great tips for not getting caught in temptation. What a great lesson you taught your daughter! I’m glad that parents get the chance to input into our children’s lives for good. What an awesome post! Loved the analogy of the study with the kids. The word of God tells us God always makes a way out. It’s up to us to take the “out”. Thanks for sharing!! Indeed God always gives us a way out from temptation!